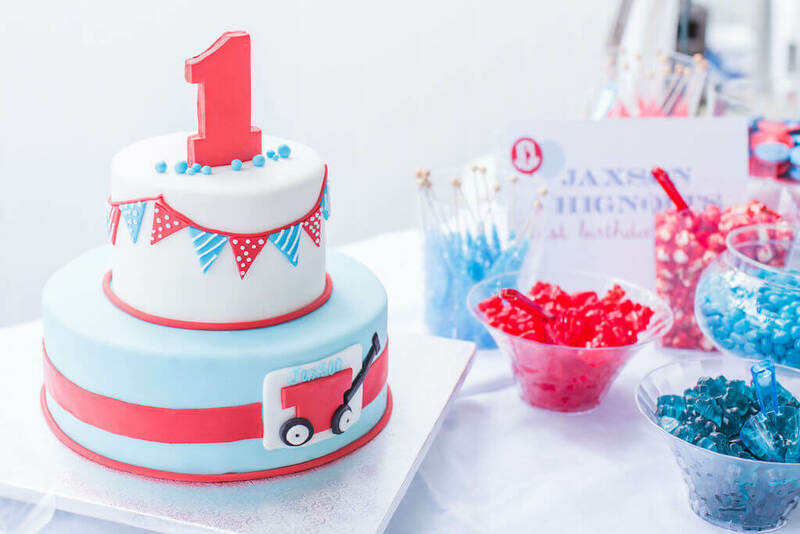 The first party of the year we have to share is Jaxson’s red wagon birthday! This is beyond adorable, and would be such a fun party theme for any little guy, or girl for that matter! 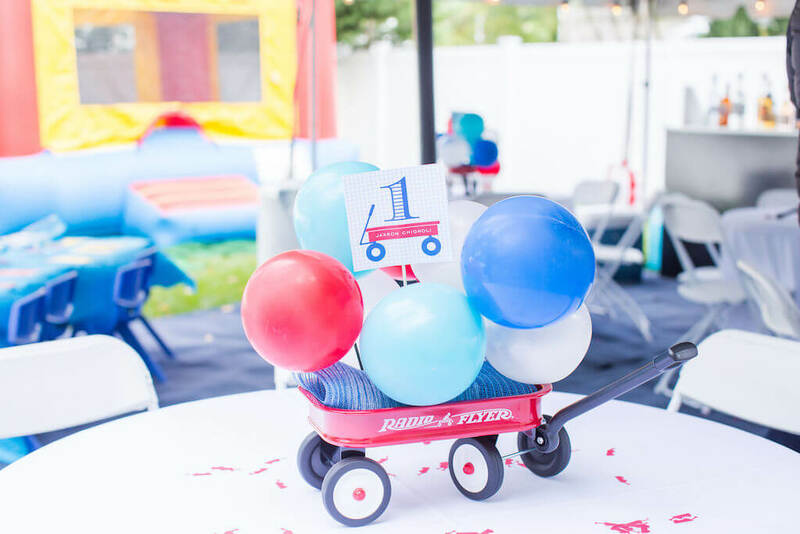 Inspired by one of the most classic children’s toys, Jaxson‘s red wagon first birthday was one of the cutest parties of 2018. Since wagon’s are so classic, we wanted to stick with pretty traditional design elements that complemented the iconic toy. 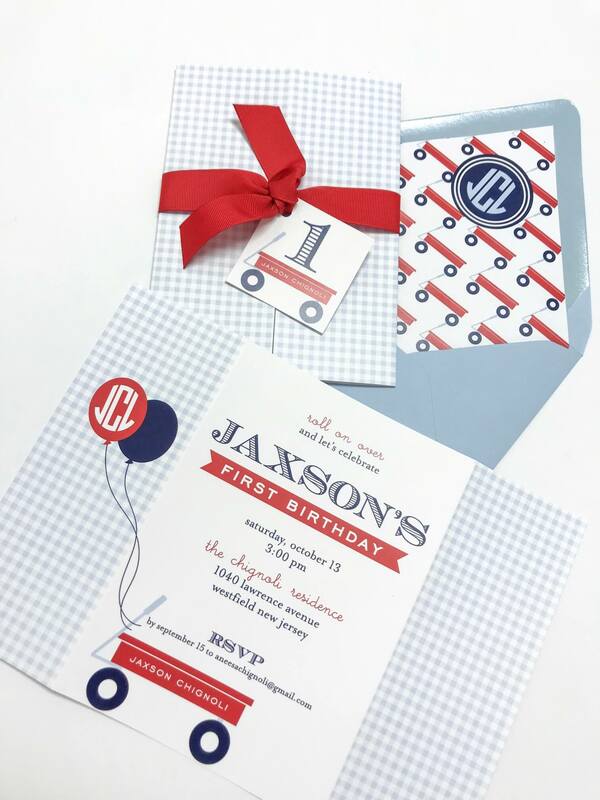 We incorporated bright red and shades of blue into personalized elements and a gingham patten to make one adorable invitation! 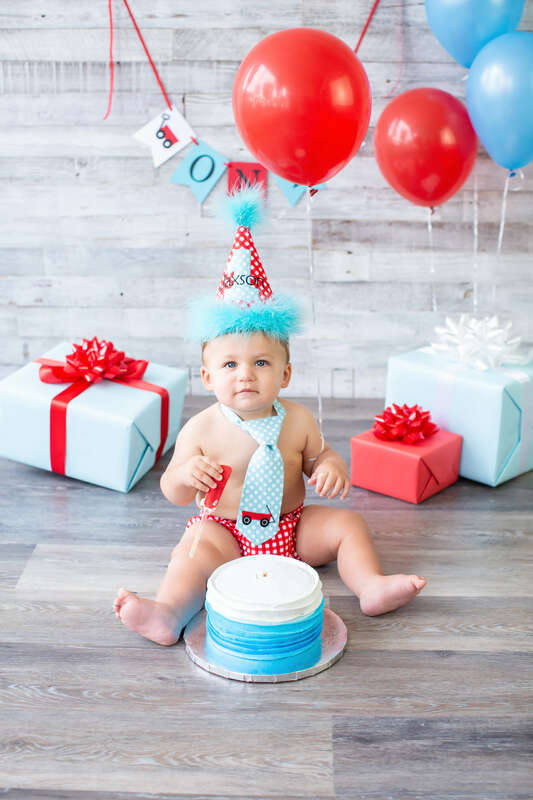 We love how the gatefold design was tied together with red ribbon and a tag with a big 1 and even Jaxson‘s personalized red wagon! Such a fun design element. We also can’t get over how cute the wagon pattern is on the envelope liner. Swoon!! 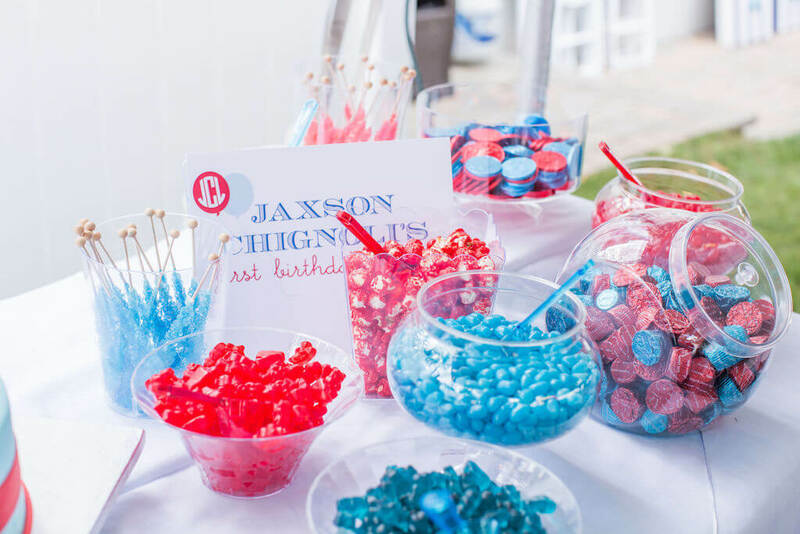 Jaxson‘s red wagon birthday swag was just as cute as his invitations! Some of our favorite party details? His birthday cake included elements from his invitation design and was oh so cute! We also loved the centerpieces that sat on each table. A wagon was filled with red, blue, and white balloons and had one of our skewer sticks in the center. To top it all off? Each table was sprinkled with wagon shaped confetti! Too cute!! 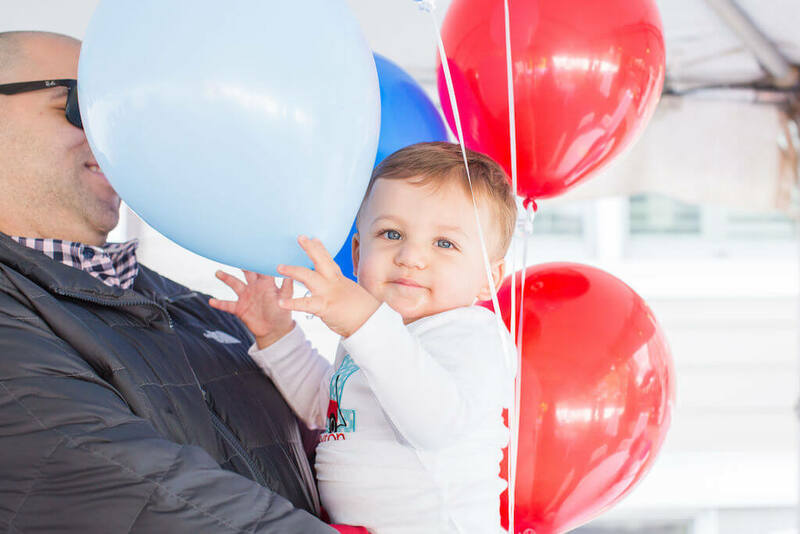 Thanks for letting us help you celebrate turning one, Jaxson! 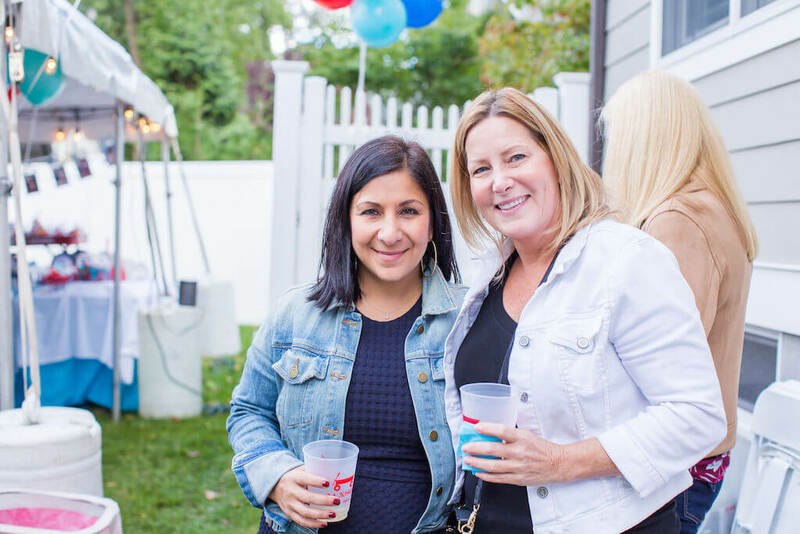 Click here for the full gallery and stay tuned for many more FUN and creative parties and weddings in the year to come. 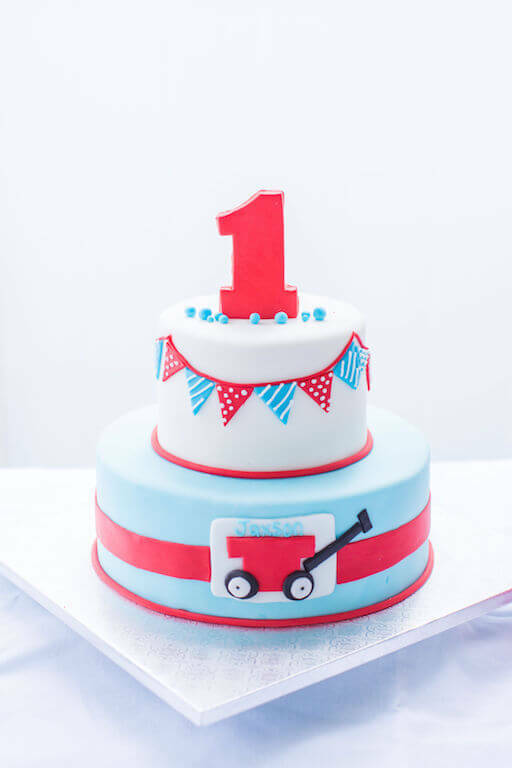 Cheers to the new year and this creative red wagon birthday!